Together with my husband Quinten, we have three school aged sons, Callum, Logan and Ryan. We are being drawn to Whanganui to be a little closer to extended family. 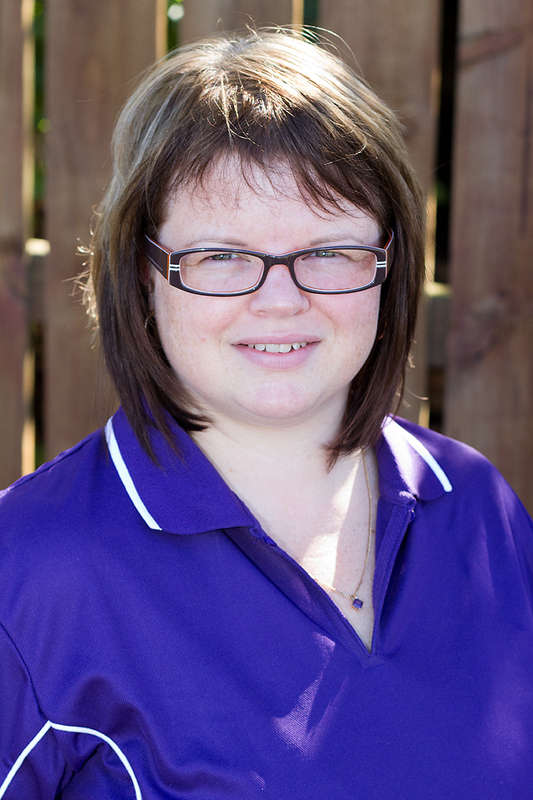 I have been involved in the Early Childhood Education and Care sector since 2003 and completed my training in 2005. From here I jumped straight into parenthood and returned to work as my husband attended University. foundation to all learning. 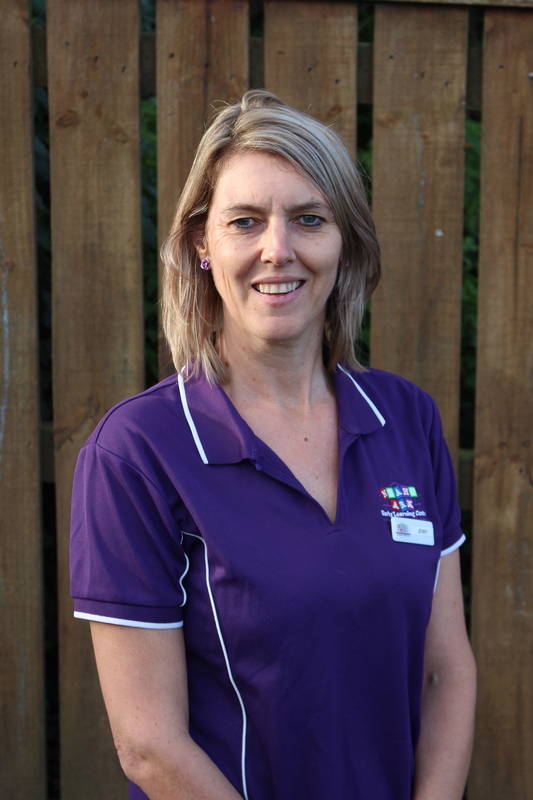 I look forward to working with you, your child and our wonderful team of teachers to realise the aspirations you hold for your taonga – your child. 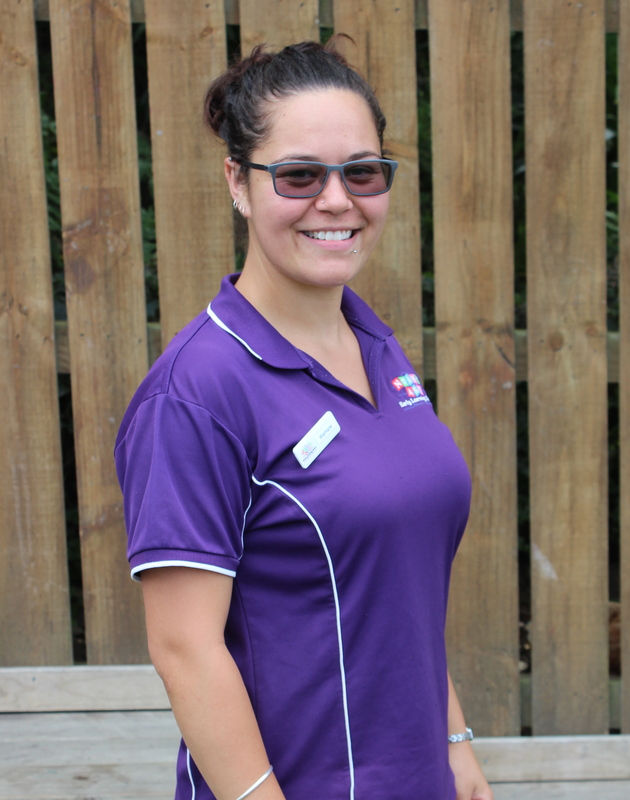 My journey and experience in early childhood education began in mid 2009, when I started studying towards my Bachelor of Education (Early Childhood Teaching) at Manukau Institute of Technology. I gained my qualification in mid 2012 and I have been working with superstars ever since. I have worked throughout the different age groups, seen their magic, laughter, tantrums and tears! It has been a pleasure to be invited to work alongside the tamariki, whānau and team of Noah’s Ark Early Learning Centre. I look forward to this new adventure I am embarking on with my new friends. Ngā mihi ki a koe, Waimarie. Hi everyone my name is Elizabeth. 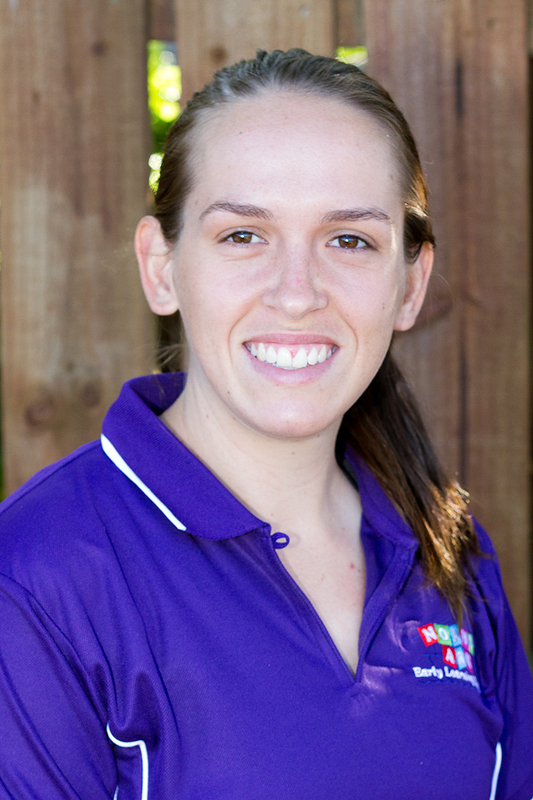 I have a Diploma of Teaching in Early Childhood from Victoria University & am a fully registered teacher. I love to work with a team of educators to provide a rich, loving & educational environment where children flourish & learn. At Noahs Ark I support this learning centres goal for excellence in creativity, exploration & experimentation,encouragement for learning new concepts & activities & demonstration of warm genuine relationships. My interests include caring for my home , lawns & gardens! Hi my name is Ben and I work in the Mighty Monkeys classroom. Working alongside children is my passion & I am blessed to be part of such an awesome group of Tamariki & whānau. Hi my name is Selena & I work in the Mighty Monkeys and Tiny Tigers classrooms. I am a mother of two beautiful children, Devin & Emily. 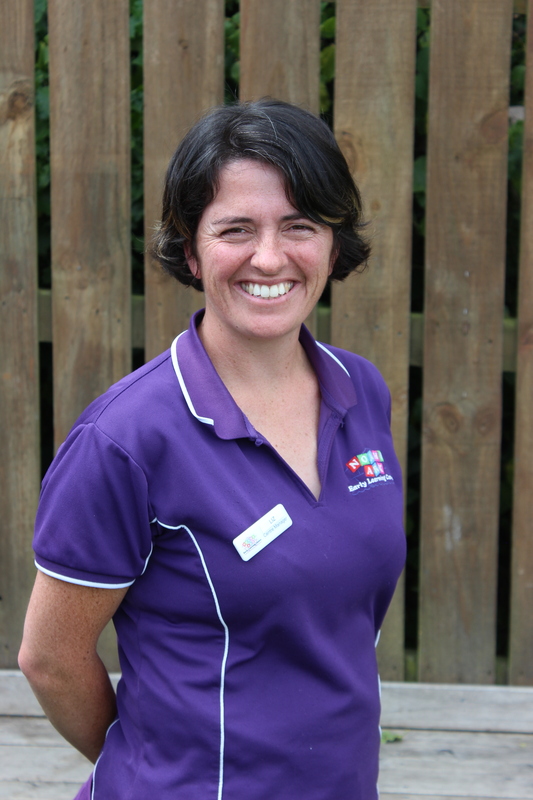 I started working in an Early Childhood centre upon the completion of the Early Childhood certificate level 3. I believe children learn best when surrounded by people to respect them & get to know each childs individual need & personalities. I’m passionate about setting up activities that allow children to develop their imaginations & explore with all their senses. 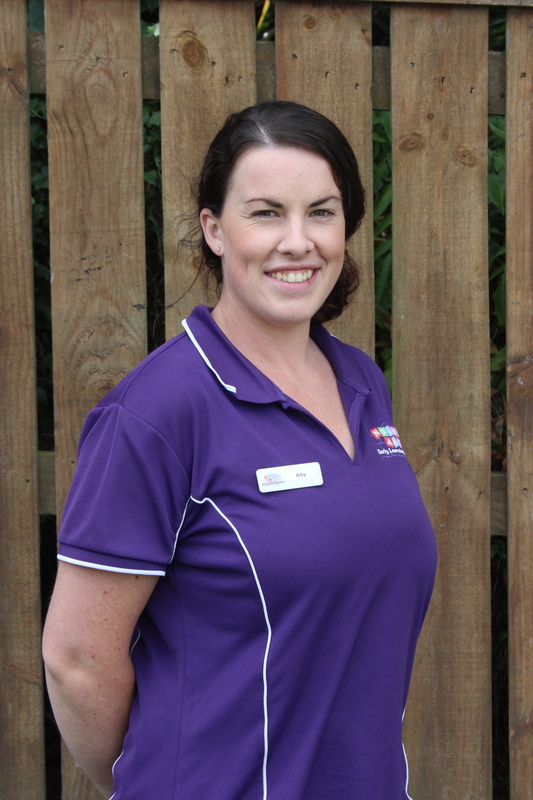 Kia Ora my name is Christine & I am a full time teacher in the Tiny Tigers room. 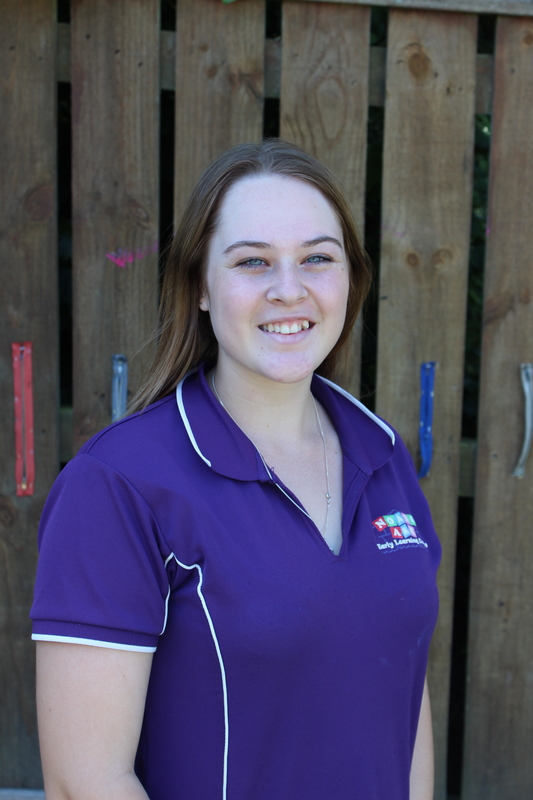 I have worked as an Early Childhood educator since 2009 after completing a National Certificate in Early Childhood Education & Care. I am a mother of two, Corbin and Madison. I have recently begun training and competing in dog competitions. I am very passionate about Early Childhood education & enjoy working with my wonderful colleagues to provide a warm & caring environment for all our tamariki to learn & grown confidently. Hello my name is Victoria and I am the Head Teacher in the Tiny Tigers classroom. 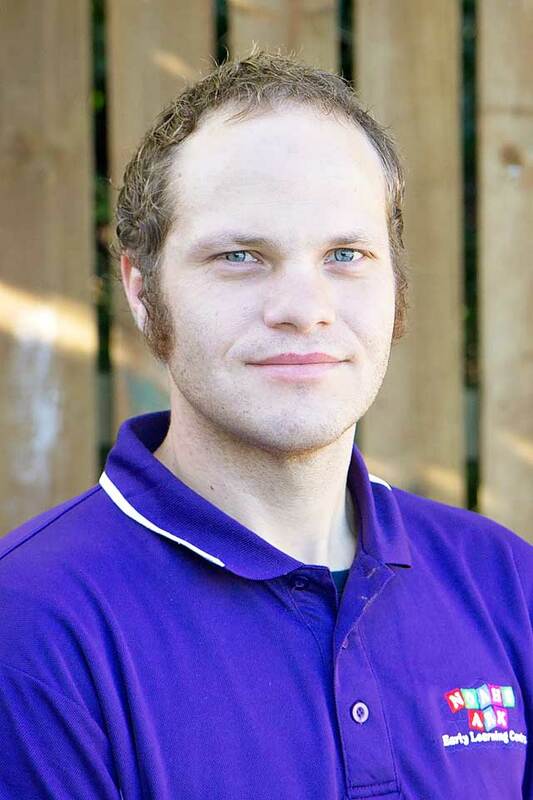 I began teaching in 2008 and gained my Diploma of Teaching ECE in 2011. I really enjoy sports and spent many years as a competitive road cyclist. 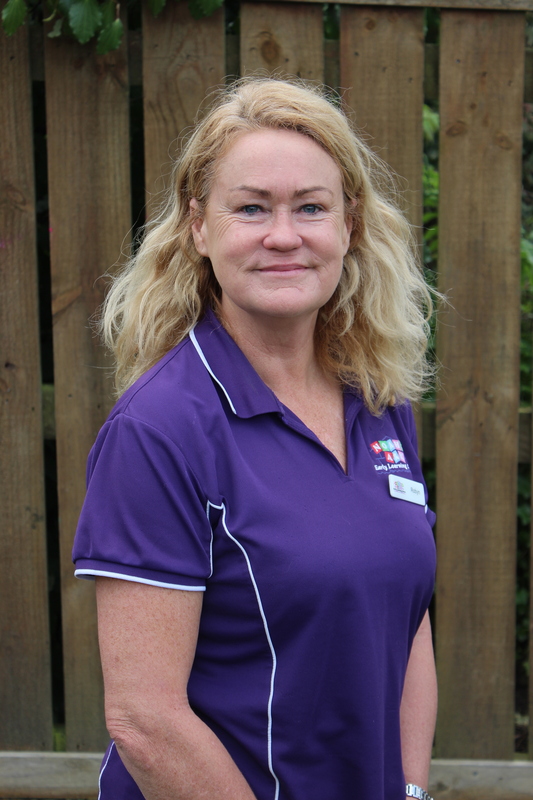 I recently studied for a Certificate in Sport Training and Development which also gave me a greater insight into the health and well being of children. 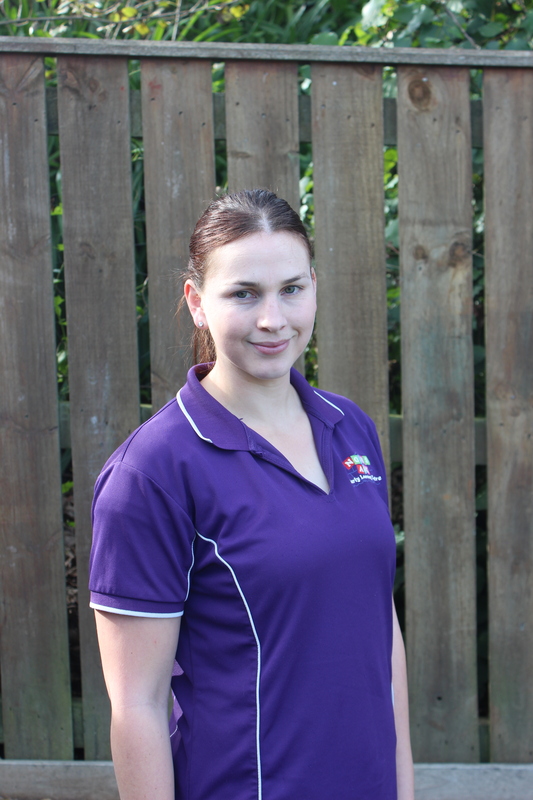 I am currently studying for my Bachelor of Sport and Exercise through Massey University. In my spare time I like to listen to music, CrossFit, run, take my puppy for a walk and negotiate with the cat for the best spot on the couch! I look forward to working alongside all of our great children and their whānau. Kia Ora, my name is Lesley. 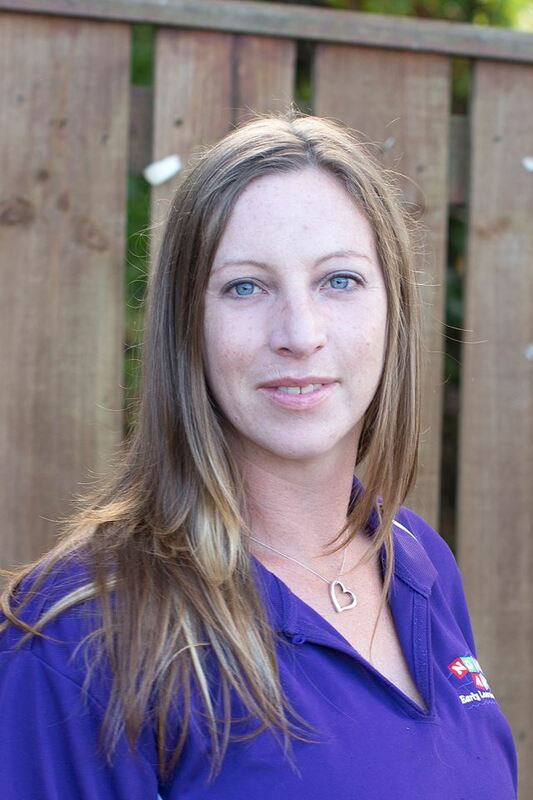 I completed my Bachelor of Nursing at UCOL Palmerston North in 2007 but fate decided that I was to take a different path in life and found out I was pregnant just after I finished. 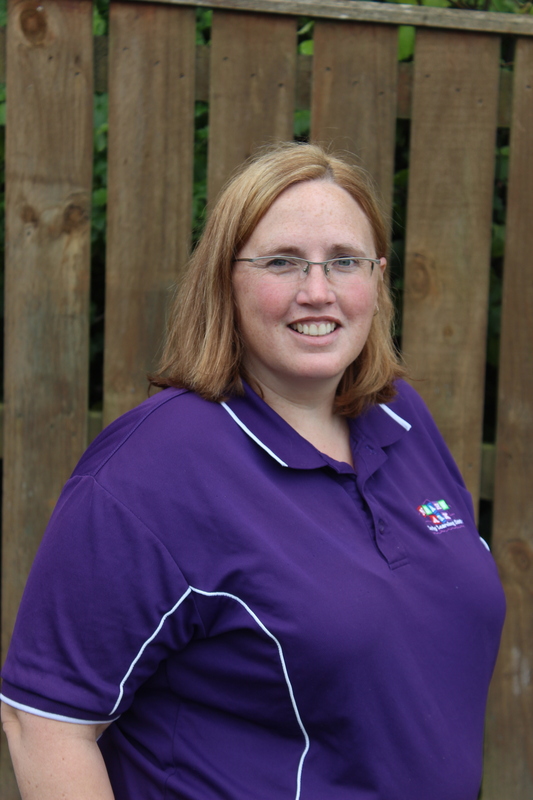 I have always enjoyed looking after children and discovered my passion for ECE after working as an In home educator for 6 years while I was raising my 3 children. 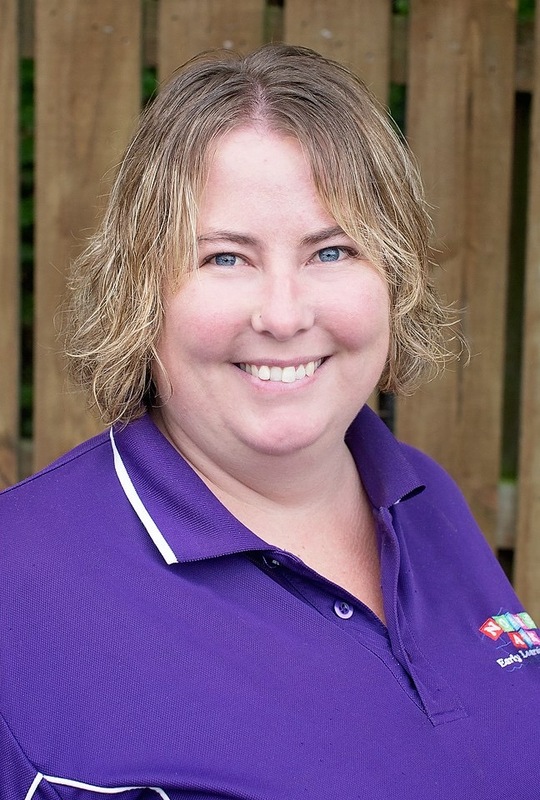 After completing my Level 3 Certificate in Early Childhood Education and Care, I decided to take the leap and complete my Graduate Diploma in Teaching ECE through Victoria University in 2015. I believe that our tamariki should be in an environment where they know they are loved and cared for, providing them with opportunities to develop relationships not only with their kaiako but also their peers. And that our role as kaiako is to support and role model these relationships through genuine nurturing interactions with all of those involved in their day to day lives. I enjoy providing our tamariki with the opportunities to explore and develop their own working theories through a wide variety of activities and environments. Hi my name is Jackie & I have lived in Wanganui for the last 30 years after moving from Waverley. I am married to David & we have 3 sons aged 15-22. 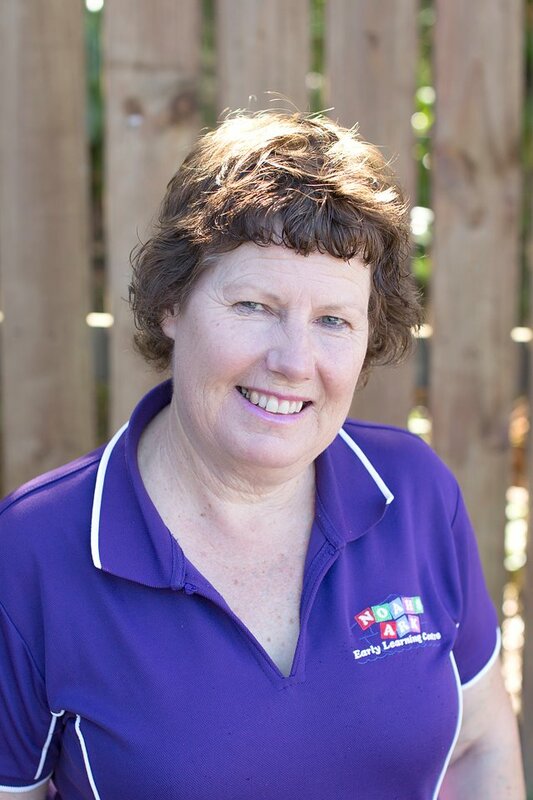 I have been involved in childcare for the past 20 years & worked in Kindergarten & childcare centres. 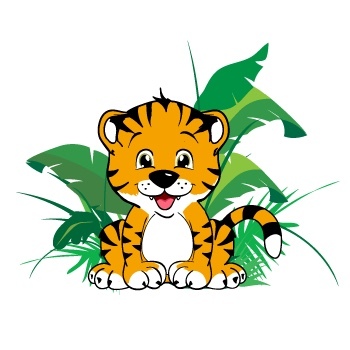 Hi, my name is Amy and I’m a kaiako in the Tiny Tigers room. I love animals and currently have four pets! I also enjoy keeping active and regularly attend Crossfit classes, and have just started up Roller Derby training as well. I look forward to working with your tamariki. Hi my name is Flea and I am a qualified chef here at Noah’s Ark. I am married to Chris and have two amazing children, Jayme and Connor. I am privileged to work here and have the opportunity to provide your children with healthy nutritious meals, providing you with peace of mind of what your children are eating. 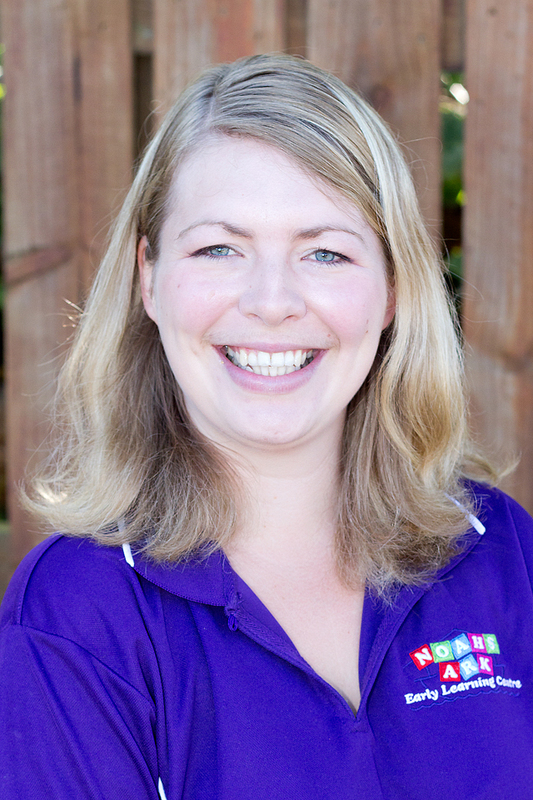 Here at Noah’s Ark I cater for all childrens diverse nutritional and cultural needs working closely with parents to ensure their childrens needs are adhered to at all times. I look forward to continuing this journey alongside current families & meeting new ones along the way. I have spent 30 years as a kindergarten teacher and the last 20 years a a head teacher. 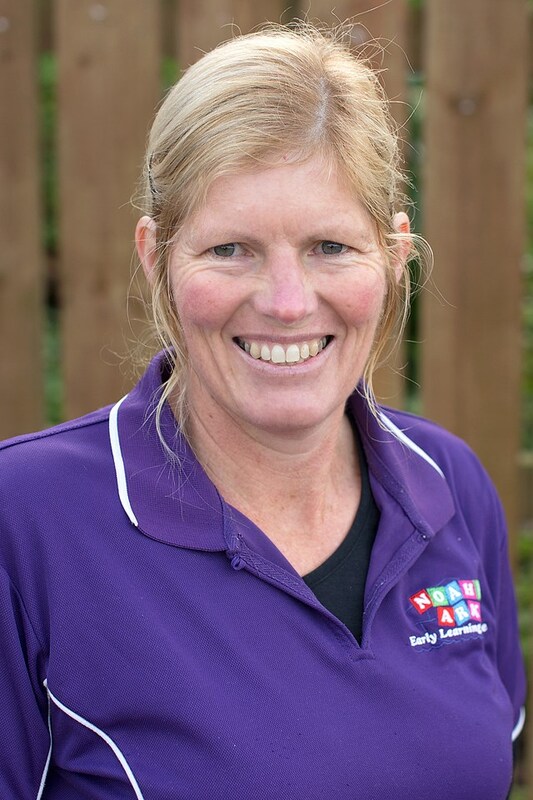 I have great knowledge and experience in all areas of early childhood and am currently working alongside the tamariki at Noah’s Ark as a relieving teacher which I love.